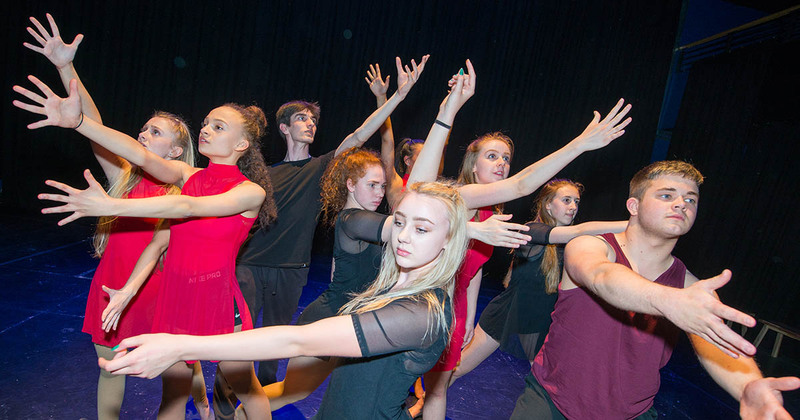 Barton Peveril’s Dance students put on the college’s first dedicated dance show to a large audience on Thursday 17th May 2018, in the College’s Rose Theatre. The show, One Night Only, contained more than 35 performances, which students choreographed themselves as part of their exams, lessons and auditions to some of the country’s leading Dance Schools. The performances covered a range of styles, from a modernised rendition of Singin’ in the Rain to a solo called Did You See? that was created by student Courtney Bradford for her audition to Italia Conti Performing Arts Academy.